Key West Florida is quite literally “The end of the road.” You really can’t get any further south in the United States than Key West. For US Highway 1 – Well this is “Mile Post 0” – Where the road ends (or begins depending on your inclination). Have you ever been to Key West? Well, let me tell you – it is way down there – at the very, very southern end of the Florida Keys. 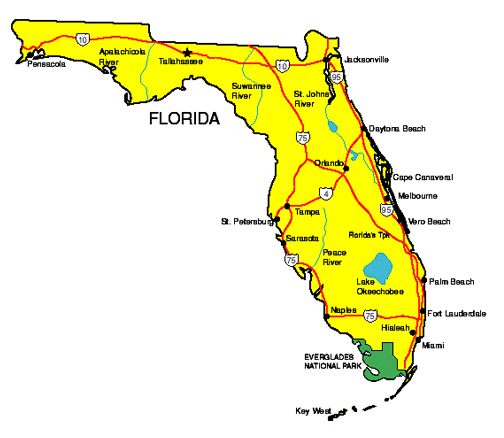 The little dot at the bottom of the map of Florida below. 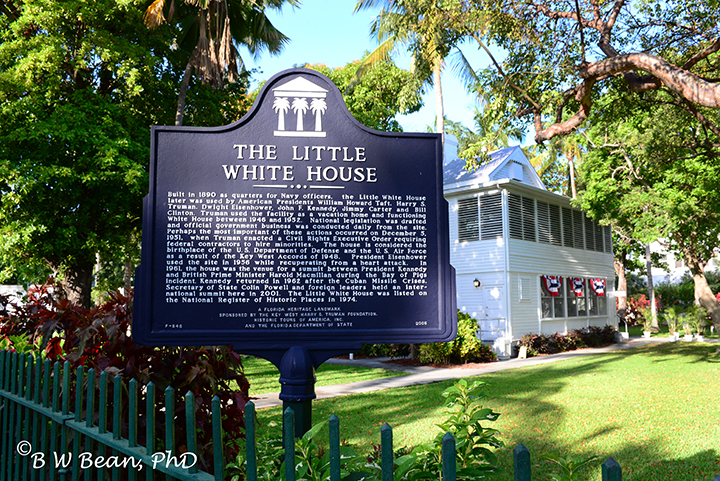 In a previous article I shared several interesting things to see and do in Key West (click here ). But there is more. 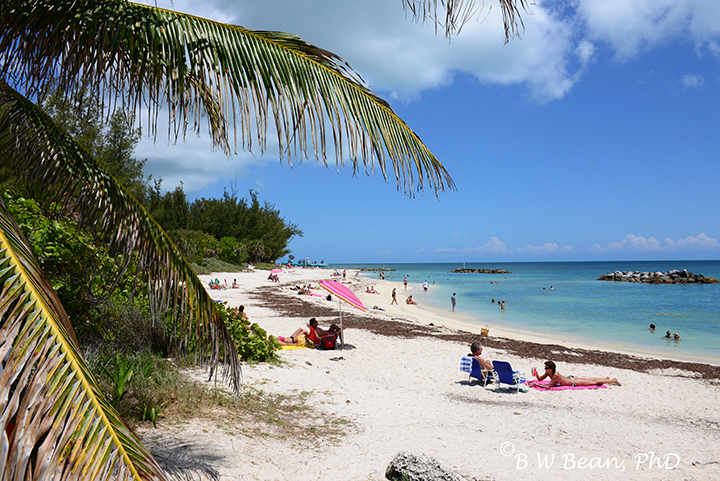 Here are a couple of other ideas, along with accompanying photos, for the Key West Traveler. 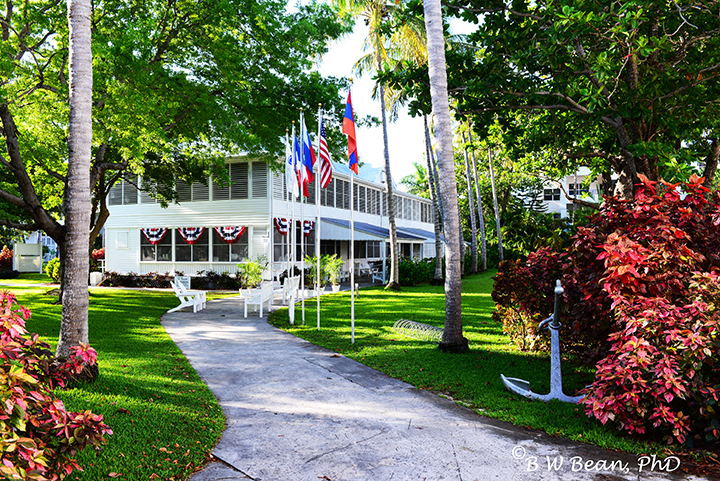 The home was built by the U.S. Navy in 1890 on the Key West Waterfront of the Key West Naval Base as the home for the base commander. But over the years it has served as residence for some fairly well known folks. Thomas Edison lived here while working on Navy weapons development during World War I. It has been the Presidential Residence and Retreat for Harry Truman and six other presidents including J.F. Kennedy, Dwight Eisenhower and Jimmy Carter. Most recently Former President Bill Clinton and former Secretary of State Hillary Clinton visited. You can get more information from the National Park Service website (click here). Key West is not a big place, and it is surrounded by water. Beaches are everywhere so why not settle back and enjoy the sun and surf? 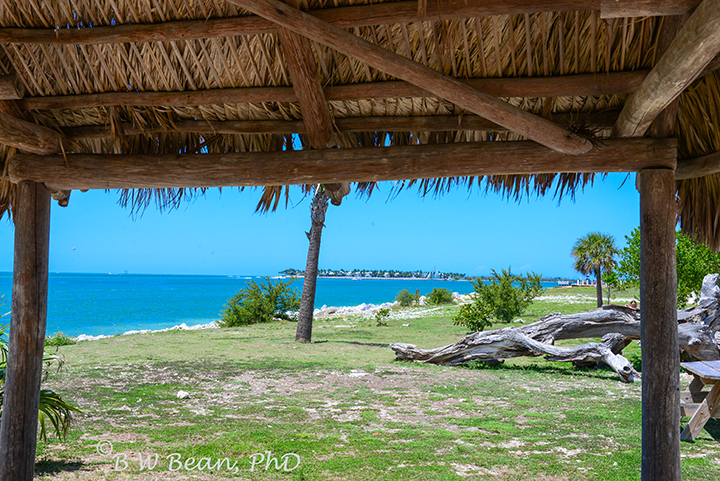 Or find a nice piece of shade and just enjoy the ocean view. Maybe a beer? Maybe two? A fine way to spend a warm Key West afternoon. When you are surrounded by water there’s bound to be boats. And Key West is no exception. There are boats everywhere. Watch ’em, photograph ’em. If you want you can book a tour or even a trip out to the Dry Tortugas. But definitely – check out the boats. 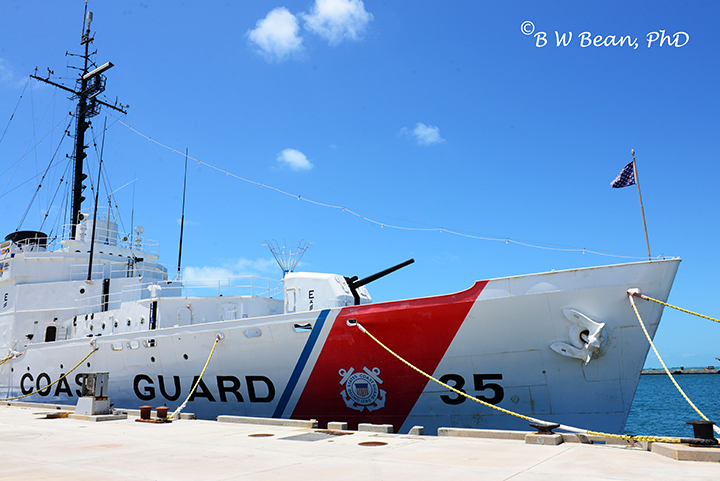 There’s a Naval Base on Key West so you can see a variety of military ships. This one is, of course, Coast Guard. 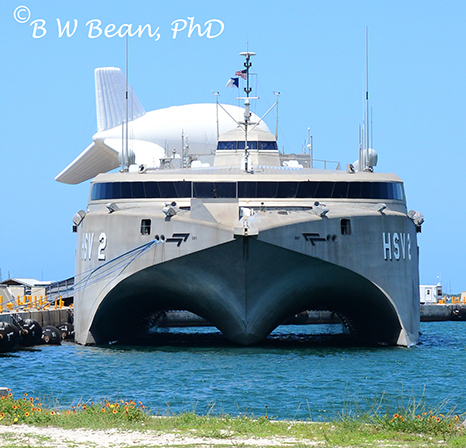 Here we have an “HVC” or High Speed Vechicle -a large ship with catamaran hull. You don’t see these every day. There is a drone blimp tethered to the deck. My understanding is that this pair serves as a surveillance system and is used to patrol the waters off of Southern Florida primarily in search of drug runners. Of course not all ships are military. 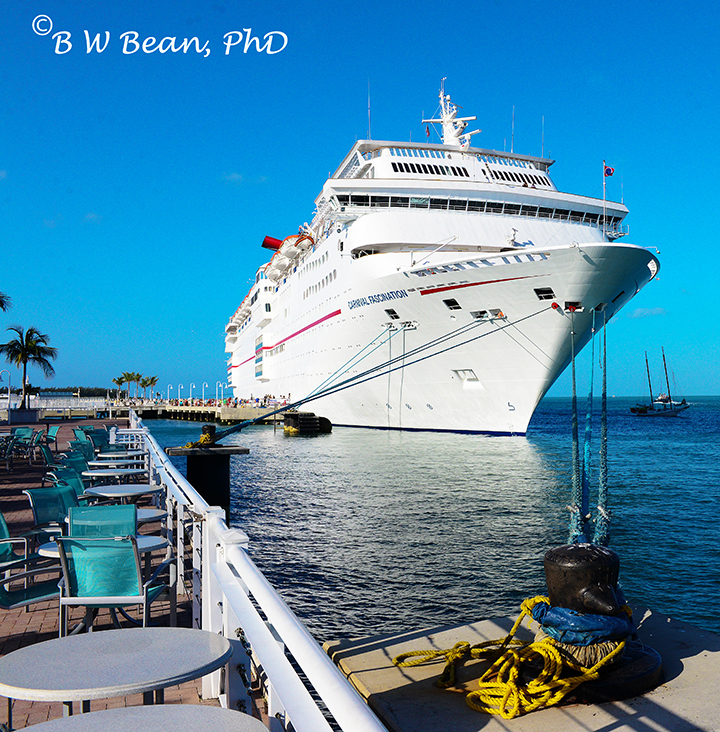 Key West serves as a port of call for many cruise lines. I spent a delightful morning enjoying a leisurely breakfast at this port side restaurant watching the passengers rushing off the ship as they set out for their “day tripper” adventures. I was actually kind of happy not to be in such a rush. And then of course, for the fortunate few who either have their own little two master, or who have friends that do. This is a really fine way to explore the waters around Key West. Alas, I neither have such a vessel nor have friends with such – so I was confined to taking photos of those who do. Still – not a bad way to spend an afternoon. 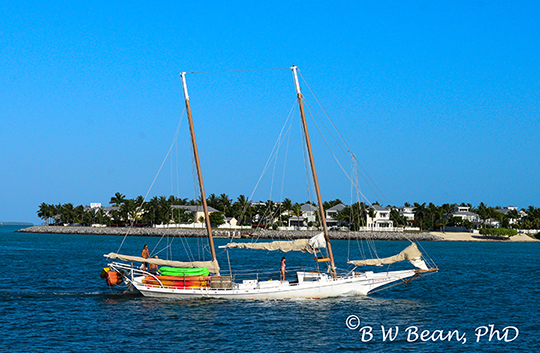 Want to learn more about Key West – What To See And Do? There’s more to come in follow up articles I’m working on right now. So come back for more! So much to see and do ……. Enjoy The Adventure! This entry was posted in General Photography and Travel, Travel, Travel & PhotoReport, Travel Tips and tagged beaches, catamaran, Coast Guart, Florida, HVC, Key West, ships, white house by Bruce W Bean, Ph.D. Bookmark the permalink.